Martin Williams – new Gaucho team has made ‘dramatic change’: Martin Williams, chief executive of Rare Restaurants, the new parent vehicle of Gaucho and M Restaurants, has told Propel the former brand’s new management team has a made a “dramatic, quick and seamless change” to the business since it was acquired out of administration in October. Williams said the business had seen circa 20% like-for-like cover growth in the past five months, which offset a 15% decline in spend per head that followed a cut in menu prices and the evolution of Gaucho’s food and drink offer. Williams has also focused on halving the group’s head office costs, which at one point reached circa £9m. He has taken out Gaucho’s layer of area managers to allow the management team, including new chief financial officer Jim Kottler and Gaucho managing director Ross Butler, to be closer to general managers. He will also look to move the group’s head office out of Swallow Street, Mayfair. He said the business would focus this year on continuing the positive trend as well as the design and ambience of the Gaucho estate. The group’s sites in Charlotte Street and Chancery Lane will be refurbished, while restaurants at the O2 and Piccadilly will have new bars. 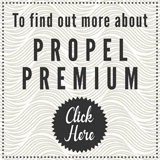 He told Propel: “The new management team has hit the ground running and the impact it’s had has made a dramatic change that was quick and seamless. The work carried out has been seen in the covers growth and now we need to push on with upgrading the look and feel of the sites. The work we are carrying out this year on the design and ambience of some of the sites should take us through to the fourth quarter, then we can look at expansion opportunities, including opening M in Canary Wharf next year.” Williams said when it came to expansion the company now had the concepts to look at a three-pronged roll-out, with the more premium, multi-format M Restaurant, Gaucho, and the more accessible and local market-focused M Bar & Grill. At the same time, Propel understands the company has licensed its Gaucho site in Dubai to Addmind Hospitality Group. Dubai-based Addmind, which Gaucho founder Zeev Godik has worked with, is believed to have signed an agreement to take on the lease of the site in 18 months’ time. Beannchor Group reports turnover passes £25m: Northern Ireland hospitality company Beannchor Group has reported turnover increased 9% to £25,811,900 for the year ending 30 June 2018, compared with £23,682,580 the previous year. Operating profit almost doubled to £11,196,442, compared with £5,670,818 the year before. Pre-tax profit was down to £2,054,680 compared with £3,183,296 the previous year, according to accounts filed at Companies House. In their report accompanying the accounts, the directors stated: “Competition in the market place remains strong. That said, turnover increased by £2,129,320 (9%) in the year following the opening of a hotel in October 2017 and the acquisition of a number of licensed establishments. The directors consider the results for the year to be satisfactory. The external commercial environment is expected to remain competitive. While the directors expect a difficult trading year ahead they will continue to seek every opportunity to increase turnover and operating profit where possible.” Beannchor Group owns pubs, hotels and restaurants across Northern Ireland including National Grande Cafe/sixty6 and The Dirty Onion as well as eight Little Wing Pizzeria sites. Pure lines up two more openings: Pure, the healthy food-to-go concept in which Whitbread has a 51% stake, has lined up two further openings in London that will take its estate to 20 sites. The Spencer Craig-led business, which opened its latest site at the Broadway Centre in Hammersmith earlier this year, will open in Kingdom Street, Paddington Central, next month. The opening will be followed by a launch in Tooley Street, London Bridge, this summer. The company is looking to open four to five sites a year, including further units in transport hubs. Founded by Ed Bentley and Craig in 2009, Whitbread acquired its 51% stake in the company in 2016 and has an option to acquire the remaining stake in two years’ time. Steve Cox acquires Buckinghamshire country pub: Steve Cox, who acquired the business and assets of his former Faucet Inn business earlier this year through a pre-pack administration, has bought The Dog & Badger in Medmenham, near Marlow, for his Golden Brick Pubs vehicle, Propel has learned. Cox is believed to have paid circa £2m for the pub, which was privately owned and recently reopened following a refurbishment. Earlier this year, Faucet Inn was sold in a pre-pack agreement, with its business and assets sold to Golden Brick Pubs and Freshwater Pub Co, which both list Cox as sole director. Administrator FRP Advisory stated: “At the time of administration Faucet Inn operated two sites in London – Neighbourhood in Stratford and The Northumberland Arms in Tottenham Court Road. Both sites continue to trade as normal. The company had previously operated other leasehold sites, which had become unprofitable and were subsequently closed. These losses, together with contingent liabilities crystallising from the closed sites, meant continued trading was untenable and the directors sought professional advice, resulting in the appointment of administrators. The business and assets were sold on appointment, with the two sites continuing to trade. All employees’ jobs were secured and arrangements reached with key suppliers for continued trading.” Paul Tallantyre, of Davis Coffer Lyons, acted on the Dog & Badger deal. Yard Sale Pizza appoints Cowley as marketing director: Yard Sale Pizza, the restaurant and delivery concept that includes sector investor Paul Campbell as non-executive director, has hired Amy Cowley, formerly of Ceviche and Le Pain Quotidien, as marketing director. Cowley joined Ceviche, the Martin Morales-led group, as head of marketing in late 2016 following two years in the same role at Le Pain. Before that she was head of marketing at Antic. Yard Sale Pizza appointed Hawksmoor chairman Campbell as non-executive director late last year. Campbell has also invested in the four-strong business, which is led by co-founder Johnnie Tate. Campbell is an investor in and sits on the boards as chairman or non-executive director at Hawksmoor, Vinoteca, Hickory’s, Blacklock, Tortilla, The Alchemist and Gusto via his Hill Capital Partners vehicle. Cubbit House lines up Haymarket opening: London gastro-pub operator Cubitt House is set to open its sixth site in the capital after lining up an opening in the St James’s Market development. The group, which is led by managing director Tony Gualtieri and chaired by Vanessa Hall, is understood to have lined up an opening at the former Veneta site that was operated by Salt Yard Group. The site in Haymarket closed at the end of 2017. Cubitt House, whose sites include The Alfred Tennyson and The Thomas Cubitt, secured investment from private investors in 2015. The consortium of investors acquired a majority stake in the business and provided funding to facilitate expansion. The company opened its most recent site in London – The Coach Makers Arms in Marylebone Lane – at the end of 2017. Davis Coffer Lyons is thought to have acted on the Haymarket deal. Former Prezzo chief people officer joins Splendid Hospitality Group: Mark Powell, former chief people officer at Prezzo, has joined Splendid Hospitality Group, operator of the Absurd Bird brand and KFC franchisee. Powell becomes Splendid’s chief people officer after more than a year at Prezzo in the same role as part of Jon Hendry-Pickup’s management team. Before that he was at Poundland for more than four and a half years. Splendid, one the UK’s fastest-growing privately owned hotel groups, also operates the five-strong Absurd Bird restaurant brand and circa 40 KFC sites. It recently transformed two former Jack & Alice sites into new concept Coluco. The company has launched the format in Tring, Hertfordshire, while the venue in Thame, Oxfordshire, features the Coluco menu with a refurbishment planned for the summer. As reported by Propel, Splendid Restaurants retained the Tring and Thame sites when Mark and Vanessa Hall, co-founders of Jack & Alice, the award-winning local pantry wine bar concept, took full ownership of the brand and its site in Gerrards Cross, Buckinghamshire, early this year. Arden launches meatball speakeasy concept: Christian Arden has told Propel he would love to take his new meatball speakeasy concept Ballroom into the food court environment. Ballroom has launched in Eastcheap in the City of London at a premises previously occupied by Peruvian-Japanese concept Waka. Ballroom offers Italian-style meatballs in a New York environment with a speakeasy cocktail lounge in the basement. Arden was inspired by his childhood in San Gimignano, Italy, watching his grandmother cooking. Ballroom has evolved her traditional recipes with a menu featuring hand-rolled beef, pork, Thai chicken and Moroccan lamb balls as well as fish and vegan versions. All are served with bases such as pasta, couscous, mash and greens. Ballroom also offers pastries and Caravan coffee. The basement bar offers tapas-style meatballs, cocktails, spirits, wine, lager and craft ale. Arden said: “Ballroom is three venues in one, with coffee, meatballs and the bar. I think it’s going to be a challenging location for us and we have been making tweaks here and there as we look to make it work. I think the concept would also work well in a food court environment. I would love to do something like Time Out Market or something similar.” Arden, who was behind Chicago Rib Shack and established late-night bar group Po Na Na, said he was developing a home-cooked catering model in which six to eight people could order meatballs, suitable for families or parties. Chicago Rib Shack went into administration in 2017, with the then five-strong group acquired by Camden Dining Group, which is now known as Enhanced Hospitality. Casual Dining Group completes pilot of refugee work experience programme: Casual Dining Group (CDG) has completed a pilot programme that helps Syrian refugees gain skills and experience to work in the hospitality industry. The programme, run in partnership with the Department for Work and Pensions, World Jewish Relief and SPS Training Solutions, saw nine refugees undergo three weeks’ training that included work at Bella Italia and Café Rouge in Coventry. CDG has offered jobs to three of the participants, with a further three given provisional offers for when vacancies arise. There are now talks about widening the programme. CDG group HR director Claire Clarke said: “We have created a sophisticated and robust series of training and development programmes to support the progression of our employees. This programme is a great example of how we can use this experience as we look to support people with the necessary skillset to enter the industry.” The initiative, the first of its kind in the hospitality industry, forms part of the Specialist Training and Employment Programme run by World Jewish Relief, which operates in Coventry and Yorkshire, with programmes tailored to each refugee. Suffolk-based operator takes on former Stuart Inns pub for third site: Suffolk-based operator Stock and Bailey Catering has taken on a former Stuart Inns pub for its third site. Stock and Bailey Catering has acquired the lease of the Lavenham Greyhound in the village of Lavenham and will reopen it as a tapas restaurant. The pub was one of three to close at the weekend following the collapse of Stuart Inns into administration. Stock and Bailey Catering, which was started six years ago by Ashley Stock and Paul Bailey, already operates a tapas restaurant in nearby Sudbury and a wine bar in Colchester. Stock told the East Anglian Daily Times: “We had spoken to Greene King because we were looking for a third site and were told it was available. I think with any small village pub it’s always going to be an asset to the community, which is why we wanted to get it back open as soon as possible.” The pub has stayed true to its roots by focusing on real ale, lager and an extensive wine list. The other two pubs operated by Stuart Inns – The Hadleigh Ram and Long Melford Swan – remain closed. Kirkstall Brewery takes over Otley live music venue for fourth site: Kirkstall Brewery has taken over live music venue the Black Horse Hotel in Otley for its fourth site. The Leeds-based brewer has partnered with live music venue Brudenell Social Club to buy the Westgate venue. The news follows the end of a bid by community group LS21 to take over the hotel, which former owners Ei Group put on the market last autumn. Kirkstall Brewery’s other sites are The Sparrow in Bradford and The Bridge Inn and the Cardigan Arms, both in Leeds. Brudenell Social Club is also based in Leeds. Basque cookery school and experiential dining concept launches debut UK site: Basque cookery school and experiential dining concept Mimo, which operates three sites in Spain, has made its UK debut in London’s Borough Market. Mimo offers classes in pintxos, paella and other Mediterranean classics at its schools in San Sebastian, Mallorca and the Algarve as well as wine tastings and dining experiences. The UK base in Cathedral Street offers cookery classes themed on London areas. Other courses include recipes for Galician octopus and gazpacho, and traditional Portuguese dishes. Four-hour classes include welcome drinks, while many ingredients are sourced from Borough Market. Mimo founder Jon Warren said: “We think Borough Market is the perfect place to explore local cuisine and bring the best of Spain and Portugal to the table.” The venue is led by Joseba Lasa, former executive chef of luxury events caterer Urban Caprice. MasterChef winner to open Waterloo restaurant: Natalie Coleman, who won the BBC’s MasterChef programme in 2013, is set to open a restaurant in London’s Waterloo next month. Hello Darling will open at the former Waterloo Bar & Kitchen site next to the Old Vic theatre and feature an “eclectic tapas” menu. The venture is a collaboration with Darling and Edge, the design studio behind The Vaults, the arts venue in the tunnels beneath Waterloo station. Coleman previously had stints at Michelin-starred Le Gavroche and The Kitchin. She also worked with Laine Pub Company at the Dissenting Academy in north London. Three Cheers Pub Co breathes new life into debut site: Three Cheers Pub Co, led by Tom Peake, Mark Reynolds and Nick Fox, has reopened its debut site – The Abbeville in Clapham – following an extensive refurbishment. The 1,510 square foot, 80-cover pub now features an aged oak frontage and a 20-cover terrace. Inside, it features vintage lanterns, 19th century oil paintings and an original fireplace. Fixed booths and a ten-cover communal table have also been introduced, while the new menu focuses on seasonal and sustainably sourced British produce. Peake said: “We are delighted to have been able to breathe new life into what is a special pub. The Abbeville has been a huge part of the community and our loyal regulars deserve the best.” Three Cheers Pub Co operates nine sites, two of them under the Six Cheers umbrella with Ei Group. Home House opens private members’ club aimed at entrepreneurs: The team behind London luxury members’ club Home House has launched a second venture in Marylebone, this time aimed at high-growth entrepreneurs, investors and business innovators. Home Grown is set across a grade II-listed, six-storey Georgian townhouse in Great Cumberland Place. The private members’ club covers 26,000 square feet and aims to enable high-growth entrepreneurs and company owners to “grow their networks and businesses through collaborations with investors and like-minded individuals”. Home Grown also hosts Rock Star, a series of events that focus on an entrepreneur’s business journey, as well as a calendar of members’ events including monthly dinners and wellness seminars. The venue also features a brasserie, study cafe, bars, business lounges, meeting rooms, pitching suites and 35 bedrooms. Andrew Richardson is managing director of Home House and Home Grown. In December, the company appointed former Hakkasan Group vice-president of global brand marketing Claire Ashman to its senior leadership team.